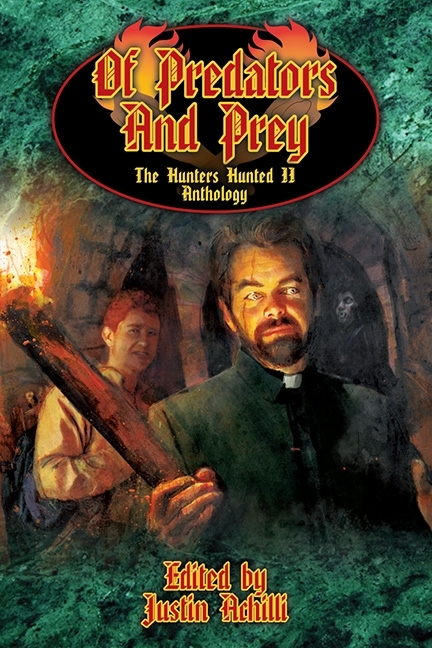 My short story “Blood Will Have Blood appears this month in Of Predators and Prey: The Hunters Hunted 2 Fiction Anthology from The Onyx Path Publishing. This was the first World of Darkness fiction that I sold and I was very nervous when I wrote this. Nine new short stories chronicling the hunters’ trials of the night, including original works by Richard Dansky, Bill Bridges, Jess Hartley, Natasha Bryant-Raible, Jason Andrew, Sarah Roark, Alan Alexander, Matthew McFarland, and Edward Austin Hall.